The good news is that although it took some 25 years for attorneys to begin recognizing the impact of California’s anti-SLAPP statutes on litigation in the state, they are now aware of the statute (sometimes painfully so). But it is clear that there are still some misconceptions about the law, including the fundamental terminology and procedures. Listen to this episode, and you’ll have a great understanding of what a SLAPP is, and what sort of activities fall under that anti-SLAPP statutes. 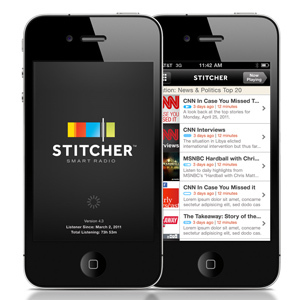 I also discuss a great new service I found, that is now a sponsor of the California SLAPP Law Podcast. For quite some time, I have made it a practice to begin reading the tentative rulings from a court, once I decide I will be bringing a motion in that court. For example, if I know I’m going to be bringing a motion for summary judgment in the courtroom of Judge Banks in Orange County, I’ll start looking for tentative rulings related to motions for summary judgment by Judge Banks. Just as an attorney who is going to bring a motion for summary judgment will likely call up a prior motion and use it as a starting point, over the years judges (or their research attorneys) develop language and case references they use when granting or denying a particular type of motion. Often the cases cited by the judge will not appear in the motion papers, but rather are decisions that the judge has located and relies upon. Knowing which cases a judge favors in ruling on a motion greatly assists in crafting such a motion. In drafting the motion, I can then either embrace decisions that the judge has cited in the past that support my position or strive to refute them. Looking at prior rulings by the judge can also provide a heads up about the judge’s propensities as regards a particular type of motion. For example, in contemplation of bringing a motion to compel in a particular court, I started looking at the tentative rulings from that court. The judge had reached the unusual conclusion that when bringing a motion to compel discovery responses, any request for sanctions has to be brought in a separate motion. In reviewing the tentative rulings, I saw that no attorney was granted sanctions, because no attorney would ever contemplate that they should bring a sanction request in a separate motion. Knowing this, when it came time for me to bring my motion to compel, I filed a separate motion for sanctions. Come hearing day, I was the only attorney granted sanctions on a motion to compel. In another case, where I filed an anti-SLAPP motion, I checked the tentative rulings and found that the judge had reduced an attorney’s fee request by 75% because the attorney had not used proper Bluebook citations (although the judge also indicated that the attorney could have followed the California Style Manual). Why would a judge reduce fees by 75% just because of improper citation formatting? 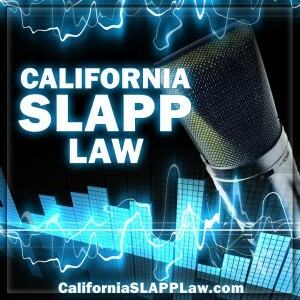 You can listen to episode 17 of the California SLAPP Law Podcast find out, but the real answer is that ours is not to reason why; ours is to read the court’s tentative rulings so that we have advanced notice of the judge’s eccentricities. The problem, however, with checking the tentative rulings is that they are generally only posted for a week. The number of tentative rulings available to you are limited unless you decide weeks in advance to begin researching the judge on a particular motion. That’s where BenchReporter.com comes in. Their database goes back to at least 2014. You really don’t want to go back too far because obviously the law changes, but going back a year or two gives a nice sized sampling of the judge’s view of a particular motion. You just type in the judge, and the motion you’re interested in, and BenchReporter.com returns all the matching tentative rulings. Go to BenchReporter.com to see what they have to offer. If you do decide to subscribe, use the discount code toplawfirm to save $10. Cabrera v. Alam (2011) 197 Cal.App.4th, where the plaintiff sued the defendant for statements made about the plaintiff’s homeowners association candidacy at an HOA meeting. The candidate brought an anti-SLAPP motion that was denied by the trial court, but the Court of Appeal reversed, finding that the defendants comments were protected under section 425.16(e)(3), which protects “any written or oral statement or writing made in a place open to the public or a public forum in connection with an issue of public interest”. The court found (1) that the qualifications of an HOA candidate are an issue of public interest, and (2) that the candidate was a limited public figure, and therefore had to prove that the statements were made with malice. I explain why the Cabrera court reached the right conclusion for the wrong reasons. Statements made at an HOA meeting fall under 425.16(e)(2), and therefore are automatically a matter of public interest. Optional Capital, Inc. v. Das Corporation, (2014) 222 Cal.App.4th 1388, where the court specifically stated: “if the speech is made or the activity is conducted in an official proceeding authorized by law, IT NEED NOT BE CONNECTED TO A PUBLIC ISSUE” (emphasis added). “Public interest” protected by the anti-strategic lawsuit against public participation (SLAPP) statute is not mere curiosity, and a matter of “public interest” should be something of concern to a substantial number of people. This conventional wisdom is what gets some parties and their attorneys in trouble, because they think there has to be some critical mass of people involved before an issue falls under the anti-SLAPP statute. As explained in this episode, some speech is automatically protected even if it involves one defendant complaining about one plaintiff.